Exilis Ultra is the industry’s only Non-invasive device to deliver Radio Frequency and Ultrasound simultaneously to shape your figure, reduce cellulite and tighten skin…all without downtime! Exilis Ultra™ Tightens Loose, Sagging Skin, Melts Fat and reduces Cellulite. The Best Skin Tightening Award Winner is Now Available in Palm Beach Gardens, Florida! How Does Exilis Ultra™ Work? Exilis Ultra™ quickly and evenly heats your skin and dermis to stimulate your body’s collagen and elastin production and enhances the effect with advanced ultrasound and radio frequency energy. Exilis Ultra also can destroy fat cells through lipolysis by heating the fat cell until it ruptures, allowing your body to then remove it naturally. With Exilis Ultra you get total body transformation with skin tightening, fat and cellulite reduction! 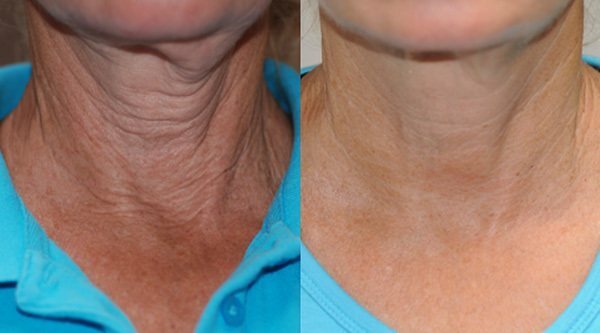 See what Exilis Ultra can do for you! Try Exilis Ultra for just $99 for any face area or $129 for any body area. See the results you can get with just 1 treatment! Once you see how effective it is, get 20% off any package! Exilis Ultra™ is one of the most advanced, full-body non-surgical skin tightening, fat busting and tissue lifting procedure available. In our Palm Beach Gardens Cosmetic Center you can achieve these results* with virtually no discomfort and absolutely no surgery! Exilis treatments use the Exilis System, the most advanced FDA approved1 device for non-surgical body sculpting and skin tightening. Painless Procedure feels like a hot stone massage. Treat anywhere on your body, even your face! 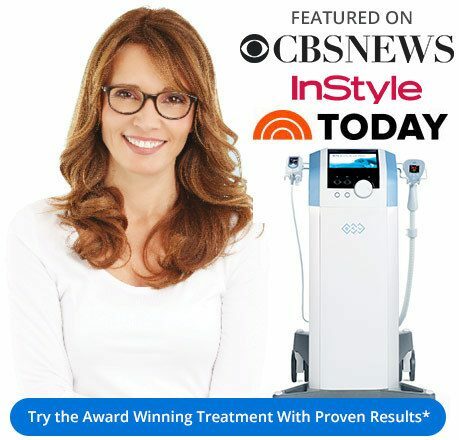 Is there downtime with Exilis treatment? No, many patients may experience some redness which will disappear within 1-2 hours. For body treatments you can exercise the same day. For facial treatments you can apply makeup later the same day. Is the Exilis treatment painful? No. You will feel some heat to the tissue which can be adjusted quickly to match your own comfort level. This treatment does not require any topical anesthetics. No medications are needed prior to the treatment to relax your body as you may need with other tightening procedures. Will the treatment cause Scars? Only in extremely rare cases is this possible. This would require an enormous amount of heat to be delivered in a very sensitive person and in these situations, blisters may appear. Most blisters will heal with no scars. And at our Palm Beach Gardens office the heat will always be adjusted to your comfort level. We recommend that (most) of our patients get 2 treatments per week for maximum results until the desired amount of fat loss and skin tightening occurs. Can I have Exilis treatment if I have a darker skin tone? Absolutely, Exilis is safe and effective for all skin tones, as it does not rely on skin pigment targeting. Can I use Exilis with dermal filler or Botox Cosmetic? Yes, our doctors will work with you to find the best treatment schedule to enhance your beauty in conjunction with Botox or any other dermal fillers you would like try. The beauty of Exilis Ultra is your power to treat almost any area of your body. When you visit New Radiance Cosmetic Center in Palm Beach Gardens, our medical experts will personally help you plan your treatment step by step. To get you started, find the areas you would most like to treat in the treatment areas chart above this text and have them ready when you visit for your FREE CONSULTATION. Download our Exilis Patient Results PDF for more Before & Afters and Exilis Information.